It's amazing how time flies. It has been one year since the book HandyMan and I wrote together, Design City Toronto, was published. And in celebration, I am giving away one copy of our book – signed by the authors! Our book ($70 value) was written for Torontonians and tourists alike, and aimed to bring awareness of the great contemporary architecture found in our city. Works by Gehry, Libeskind, Foster, and local talent KPMB and Diamond + Schmitt are featured. For a chance to win the book, leave a comment telling me what you love about your city or town! - Please comment only once. Any duplicates will be removed. - You have until midnight EST on March 28th to leave your comment. I will randomly select the winner from all comments received. Please leave your email address if you don't have a blog I can reach you through. Good luck! I love the sunshine, and the turn of the century homes. 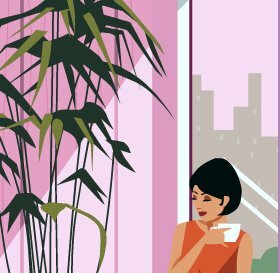 I live in Montreal and I love its lively social life, sense of history, and architecture. I love the weather, the diverse people, culture, being close to an international airport, a large number of organic shops and foods, more summer festivals than you can handle, dog friendly, several great micro-brews right in the city, baseball fever hits this town big-time. Not my home-town but I still love it! I live in St. Louis, MO home of the very modern for it's time Gateway Arch. We are also home to several Modern art museums too. My city is Ottawa. I love the mix of culture, festivals, shopping, outdoors, history... coupled with affordable suburban living for me.. heh. Ooh, I haven't been to St.Louis but it sounds wonderful! Love Ottawa katherine - especially the Byward market and the Canada day celebrations! Montreal is wonderful too Marie. Vieux Montreal is such a great area. My home town of Pepperell, MA is far away enough away from the city so that there plenty of space, and yet close to work and shopping in tax-free New Hampshire. I get to visit Toronto a lot for work, so this book will be great for me! A contest you say! Can I actually win something? Hey I'm in. I would love to get a copy of your book. I have to send you pictures of our kitchen that we renovated not even a year ago. I live in Boise, Idaho, USA. I love the mountains nearby, the river that runs through it, the distinct seasons including hot summers and cold winters, and especially the cycling routes! I love Toronto for its great little neighborhoods and delicious food. Great to see a book about this subject! Our area is also pretty good about arts and things too, so it's a nice place to live. I've always wanted to go to Canada! Oops. Just realized I forgot to tell what I like about where I live in my earlier comment. Duh. I live in a miniture little rural town in northeast Saskatchewan... for now. I USED to live in cities though. Anyway, what I love about my town is how peaceful it is. I live in a small community outside of Tampa, FL. I love the small town feel with big city close by. Huntington NY is a great town for lots of reasons: a beautiful setting on the North Shore of Long Island, the highest ratio of restaurants and bars in New York State outside of NY city, parks and museums reflecting the history of the area as a whaling port and a summer resort for families like the Vanderbilts, Huntington is also a very friendly town. It was voted one of the All-American cities in 2002 for the following reasons. And of course what drew us to live there in the first place, our unique house is situated in one of the prettiest parts of the town. I live in a suburb of Philadelphia and I enjoy all the historical sites that you can visit in our area. Ironically, I just started a series of posts about what I don't love about where I live. But if forced to be serious, I will say that I love the weather, the cultural opportunities, the bizarre sense of the surreal, the infinite opportunities for self-reinvention and the Hollywood Bowl season. And of course, my next door neighbor from Toronto. I like living in our small (but growing) town. I've lived her all my life and it is interesting to see all of the progress being made and the old and new merging. I love where I live due to the unique and amazing setting. The majestic Sandia mountains which are part of the Rockies, the horizon that stretches forever with stunning vistas,the deep blue skies and abundant sunshine as well as the perfect climate. Recreation abounds and beauty and culture. Albq. NM. In other matters, I am really grateful to have discovered your blog (via Desire to Inspire). I love the weather it stay warm most of the time. I love the climate there. I live in colorado usa. not much cool architecture in my town, but we have the mountains! This would make a great coffee table book! I live in Ottawa and what I like about it is that it is a compromise -- it is a small city with metropolitan features. I live in Winnipeg and one of our most cherished areas is our historic warehouse district in teh core area of downtown, complete with cobblestone streets and film-makers (yes, in Winnipeg). Presently I live in Prince Albert, Saskatchewan, but I grew up in Saskatoon. In Saskaton, it's got to be the University grounds and the riverbank walks, especially in fall when the leaves are vibrant colors. This would be a fantastic classroom library resource! 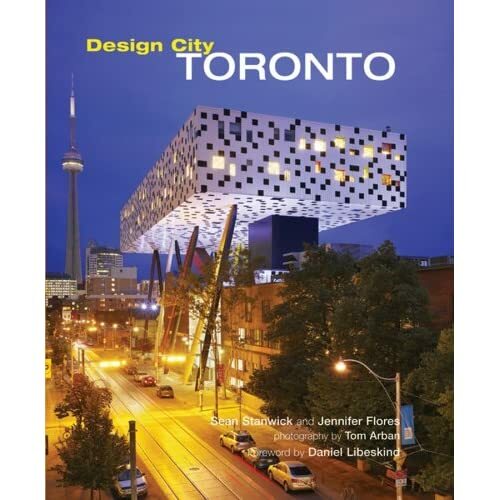 Wow... that's an awesome cover on "Design City Toronto"; which makes picking a copy up irresistable. I live in Toronto. I love that there is so much left for me to discover... new places pop up every day and old places re-invent. I live in BC and this "almost" makes me want to move out east! Beautiful and magical. I would cherish a copy! I live in a small town outside of Seattle. I love the trees and rivers. We have great mountains to hike in them in the summer and ski in the winter. I can't get enough of all the victorian-style homes in Brantford. It's like stepping back in time. I live in the golf city of Augusta, GA. And as anyone can see on TV in a couple of weeks (during the Master's Golf Tournament), there is no prettier city in the spring... with the dogwoods, azaleas, etc. all in full bloom. Along with the Southern mansions, beautiful river and lakes, and rich history, I love this city! I live in small town Ontario.For a city person the peace and pastoral tranquility is something to be treasured. We live about an hour outside of Toronto in a smaller city, but we still regard Toronto as our own and are there every chance we get. We would love to have a copy of your book to remind us of the great urban spaces in our home away from home. I love north bay because of it's friendly people and the great fishing on Lake Nippissing. It is the people that make the place and winnipeggers are great! I love Toronto for its cultural diversity - where else but in Toronto are we able to tour the world through our tastebuds? The TTC! People complain about it, but I still like it: it affords a great cross-section of T.O. 's neighbourhoods, especially by streetcar; it's relatively quick (snow storms not withstanding) and it's cheap & green compared to a car; I also get genuine reading time during my morning and evening commutes!